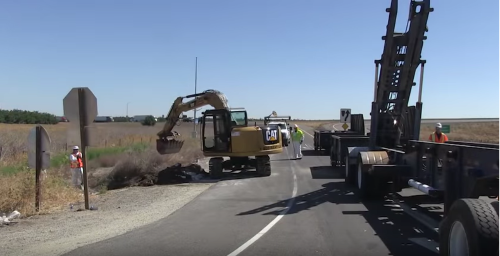 The work of the California Department of Transportation’s Hazardous Materials Teams – more commonly called “Hazmat Crews” – encompasses a range of activities from routine pre-planned work, such as soil remediation, to handling emergency incidents along major state thoroughfares, such as fuel spills following vehicle crashes. According to the Pipeline and Hazardous Materials Safety Administration, incidents that occur while hazmat shipments are in transit remain one of most frequent – and costly – types of hazmat remediation work across the country. According to year-to-date data tracked by PHMSA, 3,457 “in transit” hazmat incidents have occurred so far in 2018, costing a total more than $33.4 million in damages and clean-up expenses.